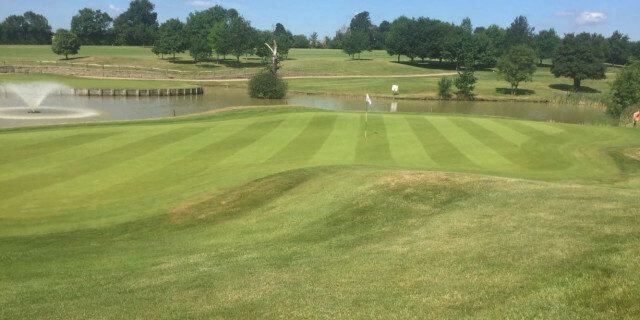 Since opening in 1991, Toot Hill Golf Club has quickly built its reputation of being one of the finest golf courses Essex has to offer. This parkland layout has been expertly designed and sculptured, utilising the best attributes of its natural surrounding of the Essex countryside where it sits outside the small town of Ongar. Given its location, Toot Hill can genuinely be described as a 'hidden gem'. Knowing this course rates so highly on Golfshake I was very excited to get down to play. I had only heard good reports from other people I know that have played it too. The reception we received in the pro shop was brilliant. We were shown in the direction of the driving range, putting green, and the starters hut where we spent a good 5 mins talking to the starter about what the course has to offer. The front nine gets off on a tough start. At 442 yards a blind tee shot awaits but if you manage to get over the cart path and onto the downslope, you will probably leave yourself a mid iron into the green that sits below with some ominous looking red stakes sitting just behind. The 4th is a great hole. 430 yards. Fairway running away and right to left you will be left with the option of slightly cutting the corner. If not a long approach to a tough green with a pond just short leaves you thinking yet again. The 8th hole gives you options of a different variety. At just 258 yards you have to decide if you are to take on the three deep pot bunkers that are about 20 yards short of the green or play just short of them, regardless of your decision, if you end up in one, you will have to work very hard for your four! The 9th plays shorter than the yardage would suggest, as it's back down the hill but blind from the tee. Your approach shot gets your golfing juices flowing. With a small green and large pond hugging the right hand side, accuracy is key and a four is by no means guaranteed. The back 9 plays longer than the front due to the long par 5's. The 11th is 541 yards up the hill and eventually into a raised green. But with OOB left all the way up and more than likely playing into wind it will still be three good precise hits to get onto the putting surface. The 12th is the stand-out hole for me. Par 3. Over water to an island green with a large bunker on the right. Playing from a raised tee down onto what appears to be a small target - club selection is key and wind direction will also come into play. But regardless of your score it's just so enjoyable to play. The finish is class. 344 yards you don't really need to bash driver as finding the fairway is key. But the approach shot into a green up a slight incline means you can't see the bottom of the flag. But what you can hear the the spraying of the fountain that sits proudly to the left of the green with not a care in the world to whether its takes your ball in like it has taken so many in previously. A truly brilliant finishing hole. I have mentioned previously some of these previously but holes 7 to 12 I just found to excellent. 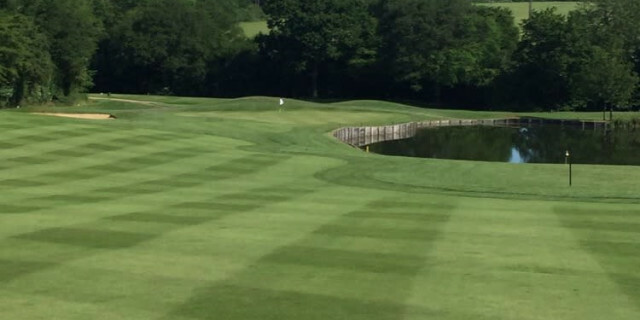 Short par 5, Short par 4, blind tricky par 4, long tough par 4, long tough par 5, short enjoyable par 3......its a great combination of golf with something completely different each time and enjoyable regardless of your score. A highlight of Toot Hill is the general condition of the course. Layout wise its spectacular. Such a varied mix of tests as you stand on each tee. 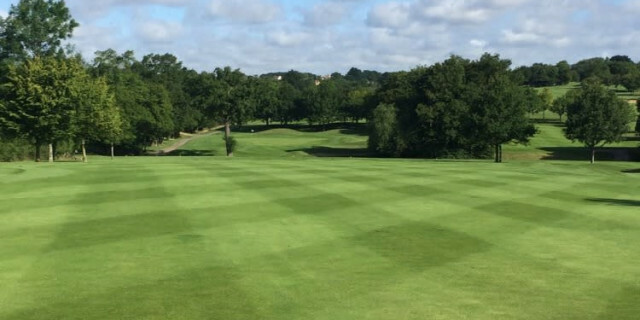 But given the fact the course is vastly popular with visitors and societies throughout the year, the condition is spot on. The greens in particular are faultless. Excellent pace and tricky undulations led me to trying to think of better putting surfaces I may have played in a while. The course is fantastic. I can now see why it is so highly rated. Everything about the course is spot on, the variety, the difficulty, the condition, the views. It really has got so much going for it. What impresses me the most is the condition, as previously mentioned, I believe Toot Hill is very popular for visitors, societies, charity days etc so the green staff have something they should be extremely proud of. Overall I would class Toot Hill as one of the best I have had the privilege of playing for some time and would love to go back soon!